I've been in a bit of a baking rut recently, mostly because I don't want to sit around eating cake all day (okay, that's a lie, that's all I want to do but we're off to Japan in a week and I'm preparing to eat all of the ramen), but faced with 18 eggs that need to be eaten by the end of the week, cake seemed like an obvious solution. 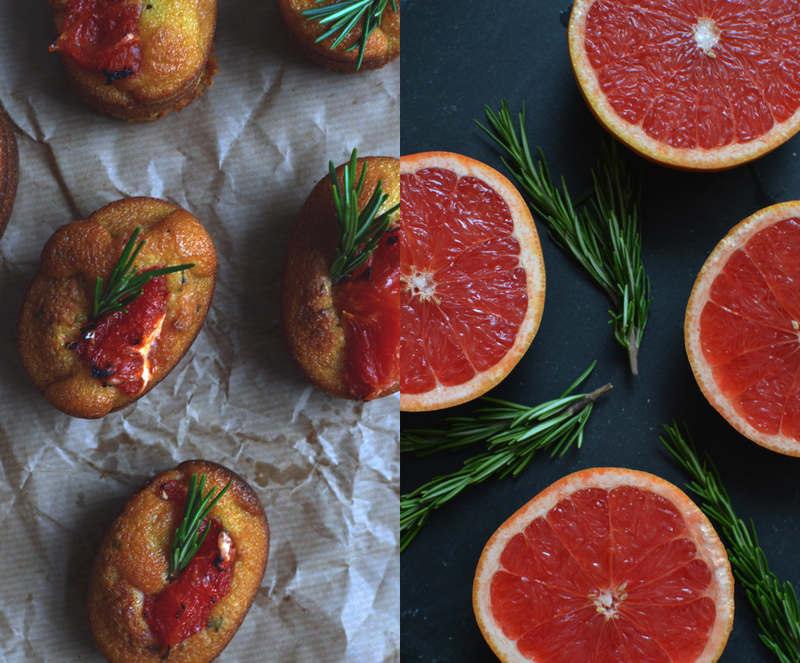 I've wanted to make olive oil cake for ages and I've really got into grapefruits as I don't have much of a sweet tooth; the rosemary, I added on a whim. For the cake base, I used this recipe from Food52. I've converted it below into grams because I just think that the American cup-based measurement is a total pain, but if you prefer working in cups then follow the Food52 recipe and come back to see the adjustments I made. This cake is WEIRD. I've never made anything like it; the batter is super wet and the measurements seem slightly crazy, but stick with it as the result is a beautifully moist, rich cake with a surprisingly fluffy texture. The recipe is designed to make one large cake - using the measurements below I made 15 mini cakes and a small round cake, so it's worth bearing this in mind if you want to halve the mixture. Pre-heat the oven to 180C and grease your cake or muffin tins. Cut the grapefruits in half - reserve one half for juice. Scoop out the remaining flesh and slice into chunky segments. Roast in the oven on a line baking tray for 10 - 15 minutes with a sprinkling of sugar and set aside to cool. 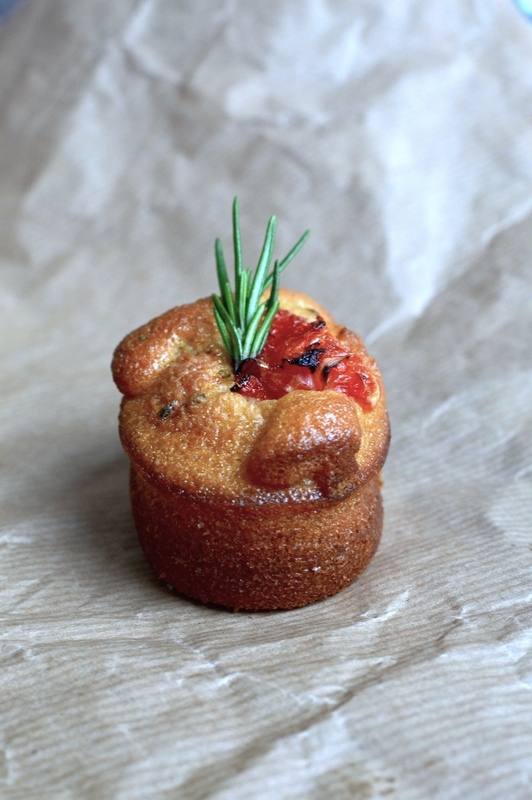 Mix the flour, sugar, salt, baking soda, baking powder and rosemary in a bowl and set to one side. In a separate bowl, mix together the olive oil, whole milk, eggs, Cointreau, grapefruit juice and zest. Gently whisk until all of the ingredients are combined and pour over the dry mixture in the other bowl. Whisk everything together until combined and lump-free. For mini cakes, bake for 20 minutes or until golden brown and a skewer comes out clean from the centre. For a large cake using the whole mixture, bake for about an hour or until golden brown and a skewer comes out clean from the centre. If you have smaller tins, you could make two small cakes and sandwich them together with clotted cream (yum). If you use small, round cake tins with half of the mixture each, they will take around 25 - 30 minutes. 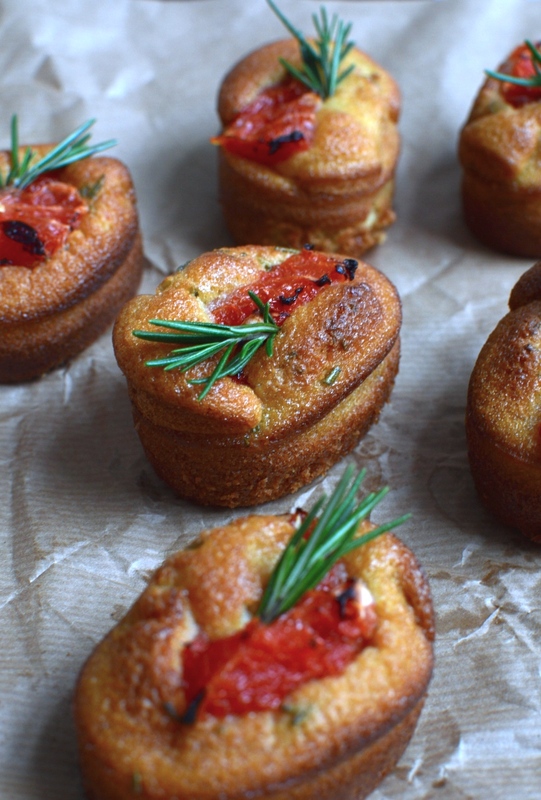 Oh man I'm an olive oil cake addict - they were even better 3 days later! Definitely! I think lemon and rosemary are perfect together or plain orange would be really classic. Make them!